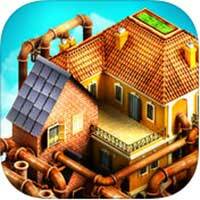 Guide for Escape Machine City Walkthrough – Dive into a next level escape game world! stunning 3D graphics and visual effects, dozens of unique puzzles and challenges! Operate numerous fascinating machines, search for hints to guide you ! something seems to be missing from it… tap the back button and look around for other useful items! This entry was posted in escape machine city on September 12, 2017 by 100doorssolution.